Everyone knows Amazon offers quick convenient shopping and delivery to your door. One couple got a benefit from the online retailer they’d rather have done without. An Orlando, Florida, woman and her fiancé had had good luck ordering off of Amazon, so when they needed some sealable storage bins the internet store seemed the place to shop. As expected, the boxes containing the bins arrived swiftly—but they seemed unusually heavy. “They were extremely heavy, heavier than you would think from ordering four empty bins,” explained one of the pair. Once the couple opened their packages, they found out why—inside each sealed storage bin was a big brick of marijuana. All told, the four bins contained 65 pounds of potent pot. The pair immediately called the police. “When the first officer got there, she was actually in disbelief,” the woman said. The police confiscated the marijuana, but that didn’t end the affair. The couple started to wonder what might happen if the recipients of the intoxicating delivery started hunting for their packages. “We were still pretty fearful our home would be broken into, and we didn’t sleep there for a few days,” they explained. The lady who ordered the bins was a little upset. “There was no concern for a customer’s safety. I mean this could have turned into a worst-case scenario,” she said. Amazon released a statement saying its service team had done what it could to address the Orlando couple’s concerns and would be cooperating with police to help track down the smugglers. 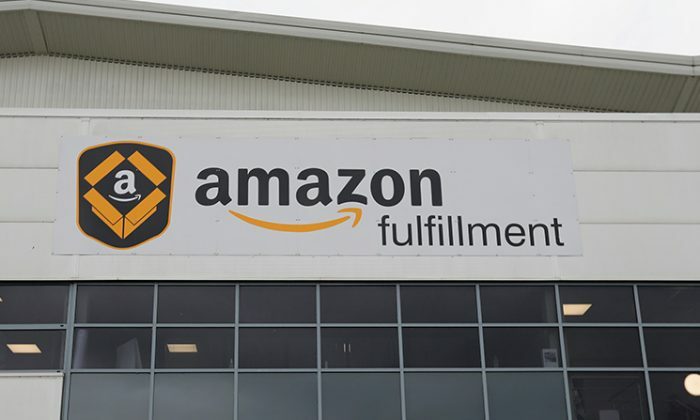 Police began their investigation at Amazon’s Warehouse Deals facility in Massachusetts which shipped the package using UPS as a carrier. Amazon: Bank to the Future?